The charges also include bank and wire fraud and conspiring to obstruct grand jury. Huawei’s former CFO Meng Wanzhou was arrested in Canada on December 1, released on bail and is due in court in Vancouver on February 6. 5G is dubbed as the “paradise for hackers"
On Monday, the US unwrapped a flurry of cases against China’s Huawei Technologies Co Ltd and its chief financial officer, Meng Wanzhou, for allegedly conspiring to violate US sanctions on Iran. Besides sanctions-busting, charges against Huawei include: spying, intellectual property theft, wire fraud and conspiracy to obstruct grand jury. The most serious US allegation, however, is that Huawei was used by China to spy on America and its allies. Huawei is a private Chinese firm started in 1987 by technopreneur Ren Zhengfei, a former People's Liberation Army major. As a company, it leads in the development of 5G, the latest mobile communication system that's more powerful than anything the world has ever seen before. What’s the US case against Huawei? The US government on Monday (January 28, 2019) has accused Chinese telecommunications giant Huawei and three affiliate companies of violating US sanctions on Iran. The charges also include intellectual property theft, bank and wire fraud and conspiring to obstruct grand jury. Altogether, 13 charges were levelled against Meng Wanzhou, the daughter of the Huawei founder, billionaire Ren Zhengfei. Meng is currently out on bail in Canada, and the US seeks her extradition. Ren, a former major in the People's Liberation Army (PLA), denied that his company is being used by Beijing for spying. Here's a lowndown in the Huawei saga. 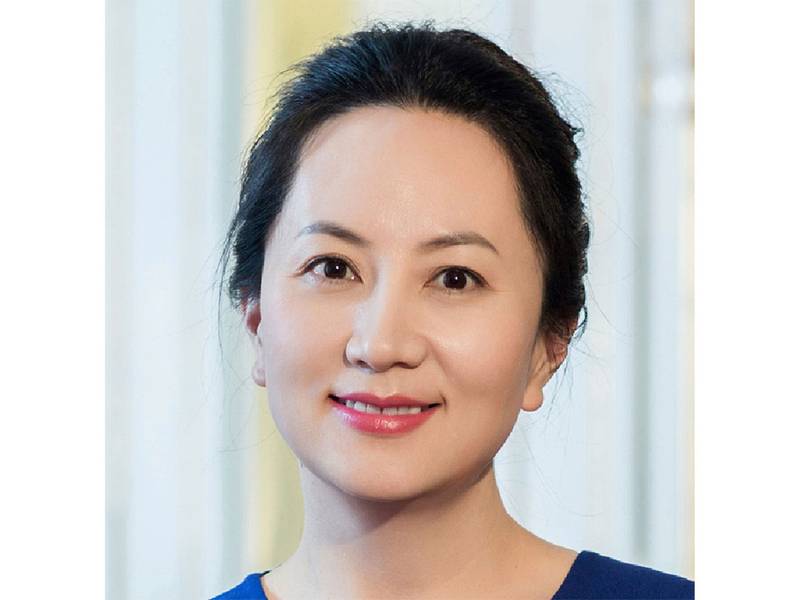 On December 1, Huawei CFO Meng Wanzhou, was arrested in Canada over alleged violations of US sanctions. She was released on bail and is due in court in Vancouver on February 6. On Monday (January 27), the US Justice Department unveiled sweeping charges against Huawei in two cases. In addition, 10 US federal charges were filed against two Huawei affiliates for stealing robot technology from T-Mobile. The announcement has raised tensions between the two superpowers. 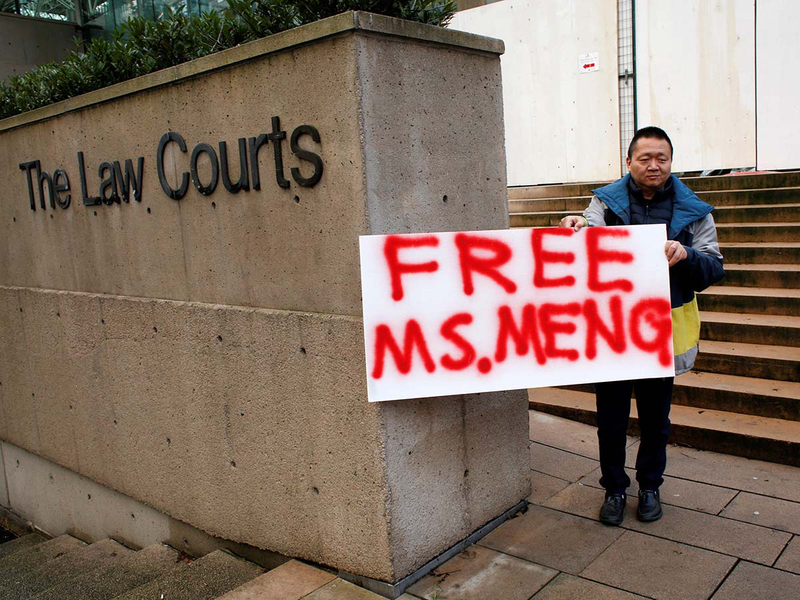 Meng’s case has also sparked a major crisis between Canada and China, with Washington in the middle. What is the US government telling its allies? The US has been pressing allies to refrain from buying Huawei’s switches and other telecommunication equipment because of fears they will be used by Beijing for espionage. What is the Chinese government’s response? Beijing has expressed "serious concern" about US charges against Huawei. In a statement, the ministry said Beijing would resolutely protect the lawful interests of Chinese companies. What did Huawei management say about the US accusations? Last week, the Chinese billionaire and Huawei founder Ren broke years of public silence. He dismissed US accusations that the closely-held telecoms giant helps Beijing spy on Western governments. The company’s 2019 revenue is expected to top $125 billion. In 2018, the company said smartphone shipments rose 35 per cent to 206 million units. Huawei is currently at No. 2. It aims to become the world’s No. 1 smartphone maker after surpassing Apple Inc., down to No 3, last year. Samsung remains No. 1. But Huawei leadings in the “Internet of Things” and 5G devices. 5G is a new advanced, superfast technology that supports the future internet. It vastly improves on 4G networks. It is also known as a revolution towards the “nervous system” of the digital society and digital economy. It provides ultra-high broadband infrastructure that has many applications in different sectors —automotive, manufacturing and healthcare. 5G infrastructure offers various benefits such as greater throughput, new enabling technologies, new spectrum, enhanced industrial growth and improved business communications. But with great benefits also come great risk. What are the companies battling for 5G dominance? The battle is on for 5G mobile technology dominance, a high-speed mobile communication protocol more powerful than anything the world has seen before. Huawei is among the global leaders in 5G, with customers among telecommunications operations all over the world. Other leaders include AT&T, Intel, Ericsson, Samsung, Cavium, Qualcomm, Cisco Systems, LG Electronics, Macom Technology Solutions, Mediatek and NEC. With a 5G infrastructure, users are able to connect everything from cars, appliances, phones, airplanes and vehicles seamlessly — in an always “on” mode with few dead spots or interruptions (called “latency”). The 5G environment is also dubbed as the “paradise for hackers”. 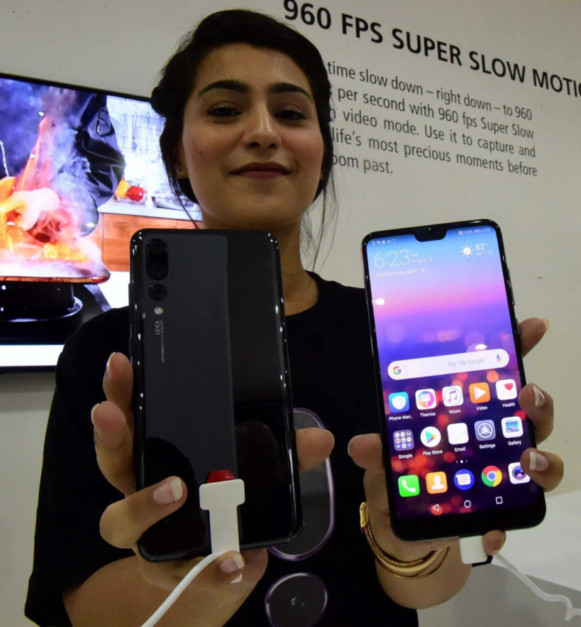 Arshad Ali/Gulf News Launch of Huawel P20 Series at Multaqa Al Adwa - Central Atrium of City Walk, Dubai . Whoever controls 5G, controls the world. Compared to previous mobile network infrastructure (3G and 4G), 5G offers a signifcant advances for both customers and operations. This is done through the centralisation of much of the processing that in the past was carried out at the base stations. Dealing with the high density of devices and doing sophisticated processing requires a great deal of computing power. Rather than having each base station (or cellsite) doing it, the raw data in a 5G system will be transmitted to a central location and be processed there. China’s Huawei has taken a leading role in 5G development. It has made substantial contributions to the standards development process — and has been among the first to carry out substantial trials. Detailed standards for 5G mobile cellular networks are still to be formalised. Without them, companies cannot produce networking equipment and handsets. Once this is done, experts predict, mobile phone connectivity will improve greatly. The transition to 5G is likely to be "revolutionary", rather than evolutionary. Consumers will benefit as the network will be much faster — data should download almost instantly, even over cellphone networks. What is Huawei’s role in 5G? 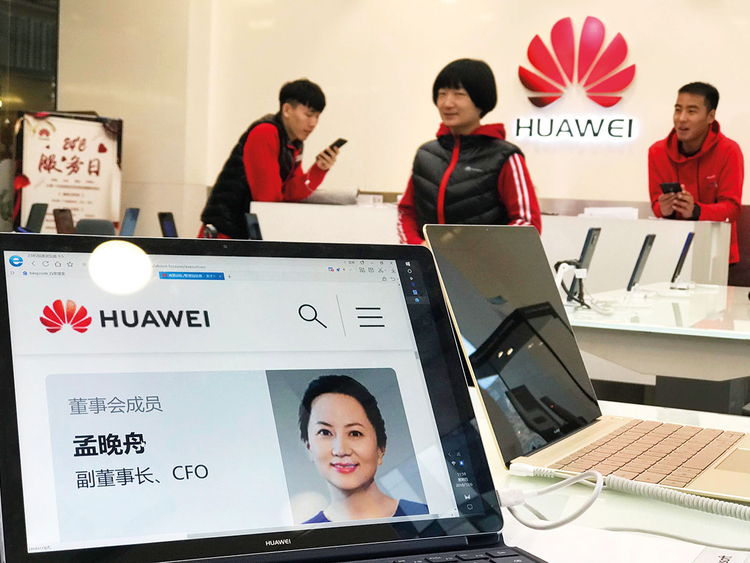 Huawei is one of the world’s biggest producers of telecommunications equipment, and seeks to lead 5G technology that connects and controls everything from kitchen appliances, self-driving cars to smart cities. Recently, Huawei unveiled a 5G chip as well as a modem chip for devices which the company developed inhouse. Huawei has shipped over 25,000 of its 5G base stations worldwide. Ryan Ding, Huawei's chief executive of the carrier business, said 18 out of Huawei’s 30 contracts so far have come from Europe. Now, with Washington pressing allies to refrain from buying Huawei’s switches and other gear, these contracts could may now be in question — or face closer scrutiny due to US pressure. What are the US allies doing? In 2012, Huawei suffered a setback in the US market when a congressional report said it was a security risk and warned phone companies not to buy its equipment. Several governments have been scrutinising Huawei over its Chinese government links. US allies, including the UK, New Zealand and Japan, are keeping Huawei out. The US is also reportedly pressing Poland and Germany to do the same. On Tuesday, TPG Telecom, the biggest mobile virtual network operator in Australia, has announced it had abandoned the rollout of what would have been Australia's fourth mobile network following the government's ban on Huawei, the main equipment vendor. The Trump administration contends that the world is engaged in a new arms race — one that involves technology, rather than conventional weaponry, but poses just as much danger to America’s national security. The world's most powerful weapons, short of nuclear arms, are now cyber-controlled. Experts believe that the country that dominates 5G space will gain an economic, intelligence and military edge for much of this century.